Christmas dinner 2018 together with the group of Prof. Millner. 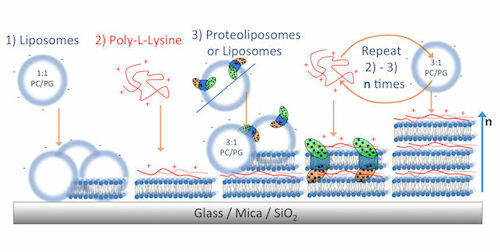 Extending the functional lifetime of proteolipomes with amphilic polymers. PhD student Sanobar Khan from the group of Dr. Paul Beales showed how to extend the functional lifetime of one of our heme-copper oxidises. George Heath developed a very simple multilayer model membrane system that for electrocatalysis using membrane enzymes. The lab and Lars Jeuken (Astbury) interviewed about how Leeds researchers are developing diagnostic devices so that GPs can test blood and find out almost instantly if you have a virus or a bacterial infection. A short clip was included in the Channel 5 evening news on 24 January 2019. We warmly welcome our latest group member, Tim Luxton, who under the supervision of Dr. Jon Sandoe will do part of his PhD in our lab. Our aim is to advance our understanding of life on the molecular level by biophysical tool development. In particular we focus on furthering our understanding of metalloproteins and/or membrane proteins and the development on novel biosensing. 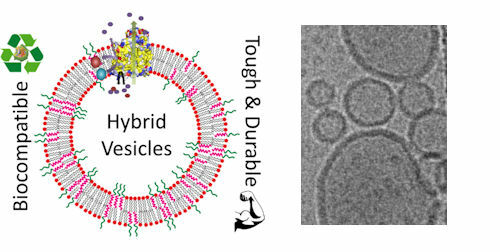 In many biochemical assays (e.g., ELISAs), the interaction between solid surfaces and biomacromolecules is of utmost importance, part of our research focusses on the chemical modification of surfaces wto control the interaction between membrane proteins and the surface. We call these modifications ''membrane-modified surfaces'. Our surfaces are characterised with a broad spectrum of tools, including Quartz-Crystal Microballance with Dissipation (QCM-D) and Atomic Force Spectroscopy (AFM). We are extending our research into controlling the interaction between solid surfaces (including nanoparticles) and whole bacteria, which has important applications in microbial electrochemistry.